Classic Markers provide artists with eight classic Crayola colors that feature Color Max, our most vibrant color yet. Amp up school projects and artistic endeavors with high-quality ink that is true to color. The variety of bright colors in this pack invites imaginative expression. Crayola Markers contain recycled resin, which puts over a million pounds of plastic back to use. Bring beauty and color to your world and help keep plastic out of landfills. 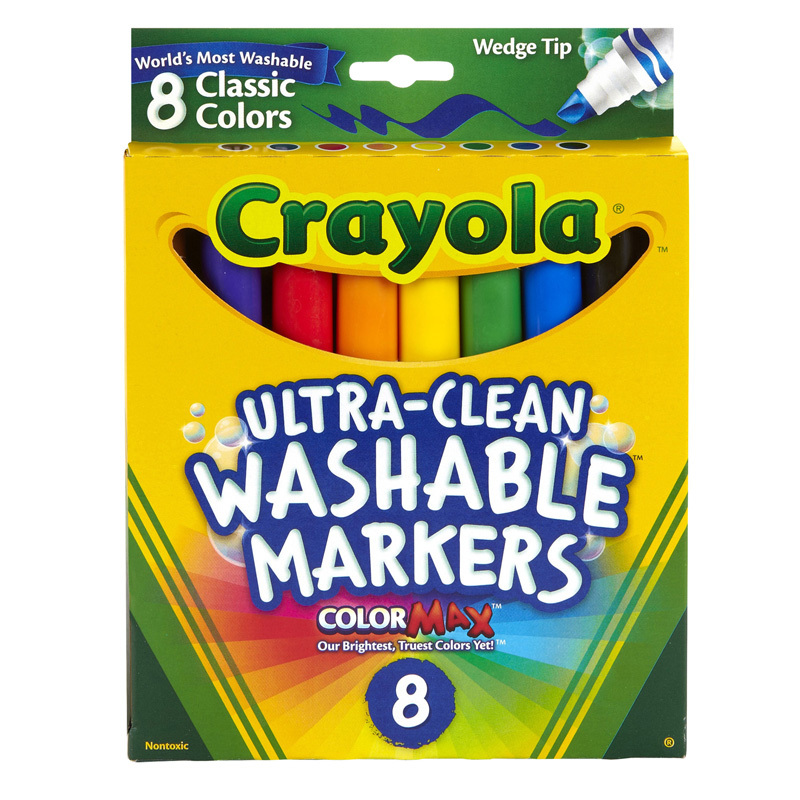 Each pack includes 8 Ultra-Clean Washable Markers in classic colors and peggable box. 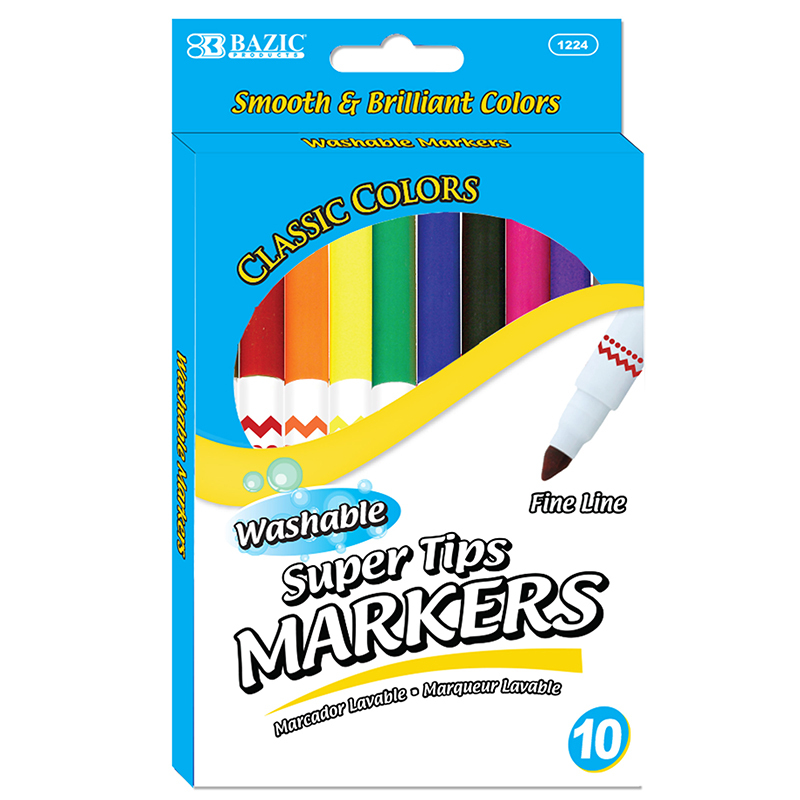 The Wedge Tip 8 Ct Washable Markers can be found in our Markers product category within the Arts & Crafts.